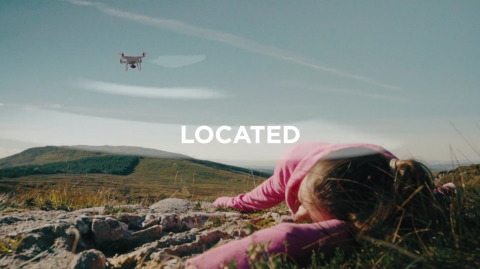 Outdoor navigation app ViewRanger and software start-up DroneSAR have teamed up to boost search and rescue operations worldwide. The partnership will see ViewRanger and DroneSAR – developers of a new drone search and rescue app – combine their expertise to allow search teams to quickly deploy drones as their first response to call-outs. Craig Wareham, ViewRanger CEO, said: “ViewRanger is already used and trusted by more than 250 search and rescue teams across Europe and North America. DroneSAR has created an innovative and powerful way to manage and operate drones efficiently in search and rescue situations. The new partnership will integrate DroneSAR with ViewRanger’s unique BuddyBeacon live-tracking system. BuddyBeacon is used widely by search and rescue coordinators to track the position of team members equipped with the ViewRanger app or GPS-enabled radios, plus search dogs equipped with a Retrieva GPS collar. The live-link will enable the search pattern of each drone to be monitored by the ViewRanger app, allowing team leaders to remotely monitor search progress. This will help teams deploy and track drones, just as they would any team member, and quickly search for missing or injured people. The integration of these two powerful software products is a world-first that will reduce risk to team members, cut response times, improve emergency management, and save lives around the world.